Immense theft of iron chamber covers & heavy breakages in local cement chamber covers has become a routine problem. 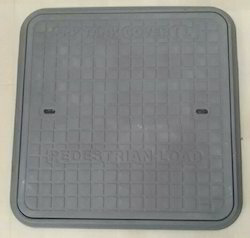 To get rid of such problems, we are introducing to you thermodrain frp manhole covers & frp gratings. We are on the Approved List of RDSO/DIW, Varanasi for Resistor Unit of Dynamic Braking Grid (DBR). Other major Products are : Arc Box/Arc Chute Assys (Fabricated as well as Moulded), Slot Wedges, pole Washers, FRP Cable Cleats, Insulation Kit for Smoothening Reactor, Kit or Phenolic Bushes etc. 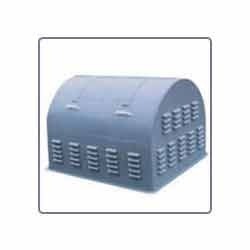 Fiberglass Cover offered come with superior impact resistance and low temperature resistance.